The distinctive asymmetrical “bullhead” case design is back! But in a futuristic new interpretation using a high tech carbon composite pioneered in Formula One. 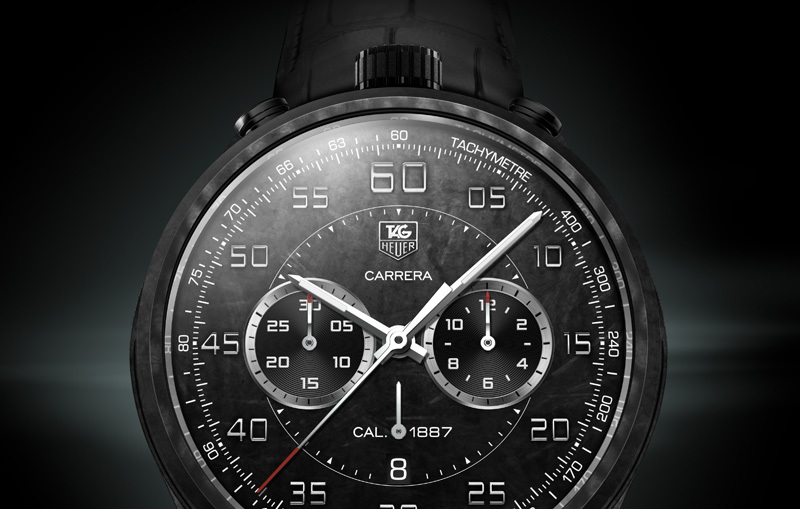 The Carrera CMC Concept Chronograph is TAG Heuer’s latest achievement in avant-garde timekeeping. 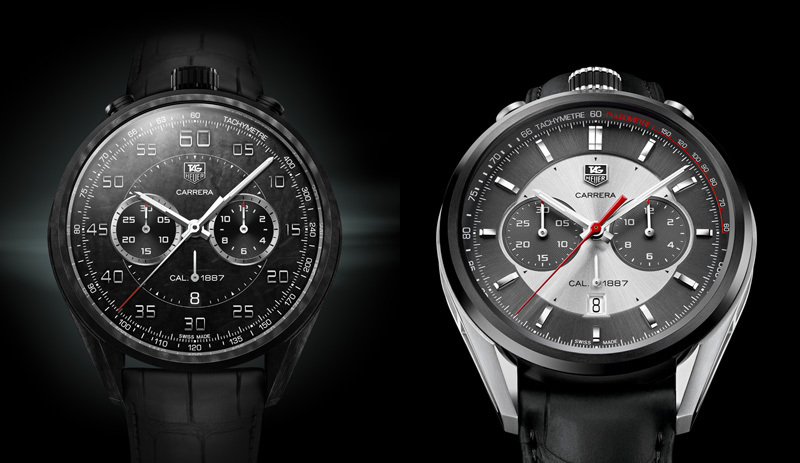 Left: CMC Concept Chronograph side by side with the Jack Heuer Carrera 50th anniversary edition. The Carrera Mikrogrider was named Swiss Watch of the Year at the Geneva Watchmaking Grand Prix last november and while the inspiration was the original 1963 Carrera by Jack Heuer, the Carrera CMC concept Chronograph shares the Mikrogirder’s “bullhead” design with crown and pushers at 12 o’clock. It takes a complicated miniaturised manufacturing process to use CMC in a timepiece and it represents a first in the watchmaking industry. The thin carbon fibres organize as on an isotropic matrix forming a super rigid form after heat and chemical treatment. The result is fewer signs of wear and extreme lightness. Naturally, we’re also assuming vintage CMC Concept Chronographs in 30 years are probably also going to look the same. TAG Heuer’s first manufacture movement, the Calibre 1887 powers the Carrera CMC Concept Chronograph.